Functional and versatile, this Corelle Livingware Lunch Plates Set brings timeless and classic styling to your dining experience. 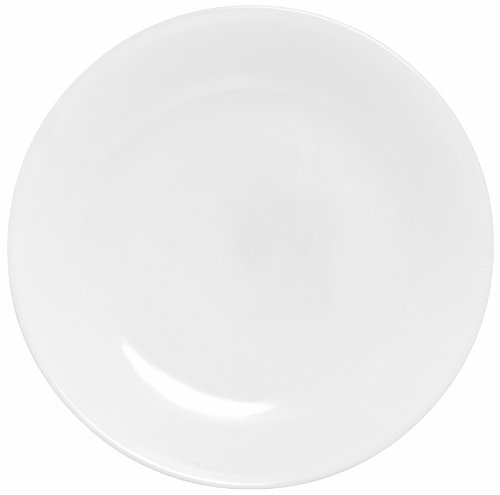 Livingware Winter Frost set includes six (6) 8-1/2-inch lunch plates. This set features simple and elegant all-white pieces, perfect for complementing your existing dinnerware. All pieces are made of Vitrelle glass, which is break and chip resistant, lightweight, and easily stackable for space saving. Dishwasher safe, this non-porous and versatile dinnerware can be used in the microwave and oven. Vitrelle glass is made in the USA and comes with a 3-year limited warranty against manufacturer defect. If you have any questions about this product by Corelle, contact us by completing and submitting the form below. If you are looking for a specif part number, please include it with your message.